Want to work as a Linux systems administrator? The Linux Foundation has added a way to gain the requisite knowledge and certification through a training course, Essentials of System Administration, that covers the key skills required for managing servers, clouds and other systems based on the open source OS. The course takes place fully online and is designed to be distribution-agnostic, meaning it teaches core skills that apply to all of the various iterations of Linux currently available. It focuses on “under-the-hood” aspects of Linux systems, from kernel drivers and file systems to system processes and network configuration. The training course, which has course number LFS201 under the Linux Foundation’s hierarchy of courses, will provide the knowledge necessary to complete the test for the Linux Foundation’s SysAdmin certification successfully, according to the organization. That certification was introduced last year, but the Linux Foundation is offering the opportunity to take the certification test free of charge to students who register for the training course, which currently costs $499. The Linux Foundation is pitching the coupling of the training course with the certification exam as a particularly cost-effective opportunity for gaining Linux system-administration knowledge and certification. The course “is quite a bit more affordable than equivalent ones on the market by itself, and when bundled with the exam becomes an even better deal which we hope will help expand Linux education and opportunities to more people,” a Linux Foundation representative wrote in an email. Microsoft has finally embraced Linux — with a bit of passion. Jack Wallen reports why he believes the makers of Windows have finally come around to sidling up to the open-source platform. There is one sentence that I swore I’d never write. That’s right. 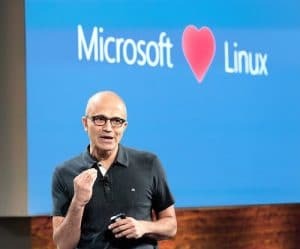 During a webcast, new CEO Satya Nadella stood next to an image that said “Microsoft [heart symbol] Linux.” Understand, the presentation was all about Azure and the new services it has added to the system. Included with those new services were Linux-based systems (such as the Cloudera Hadoop package and the CoreOS Linux distribution) — so, it’s not like Microsoft is all of a sudden embracing Linux as a desktop OS. I believe Microsoft is finally gazing into the same crystal ball as everyone else has been and is seeing that “platform” is on the verge of complete irrelevancy. This isn’t 1999, where platform was King, and the King had a name — Windows. This is 2015, and the crow now rests squarely on the network — the cloud. And to make the cloud work, really work, the platform must become transparent. Otherwise, you suffer from lock-in, and that will be your death knell. Numbers don’t lie. The majority of users get their content via mobile devices, like smartphones and tablets. As of a year ago, mobile use has exceeded desktop usage. That means the browsers and devices accessing servers, content, and SaaS are no longer tied to a desktop platform. That also means juggernauts like Microsoft have to completely reinvent the way they think and do business — otherwise, they’ll go the way of the desktop. I’m constantly taken aback when people contact me about my author website and say, “Something’s wrong with your page. It doesn’t look right!” I open Chrome, and it looks fine. And then … I remember … they are most likely viewing the site with their phone. That is why Microsoft has found itself in a position of having to “love Linux.” Microsoft needs Linux to achieve transparency for today’s market and user base. Without Linux, Microsoft’s Azure platform is not nearly as flexible as today’s tech landscape requires. Microsoft knows this, and that’s why it currently offers five Linux servers on Azure (CentOS, Ubuntu, CoreOS, OpenSuSE, and Oracle Linux). The one major Linux server missing is Red Hat, but I’m certain Microsoft will eventually open its arms and heart to one of the most powerful enterprise Linux distributions on the planet. But let’s face it, the real competition Microsoft faces today is Google and Amazon — cloud services, not platforms (that game is done, over, kaput). And to be competitive in the cloud, Microsoft can’t, in any way, go it alone. To that end, Microsoft will find itself in a love fest with Linux this year. They will become best of friends, snap selfies together, and post on one another’s Facebook wall. Even once Windows 10 is released, this won’t change. I firmly believe that Microsoft has finally come to grips with the idea that the desktop is no longer the be-all end-all to their bottom line. Azure brings in roughly $5 billion in annual revenue for Microsoft — all the while sidling up to that which their one-time CEO called “a cancer.” Remove Linux from the picture, and that $5 billion in annual revenue shrinks drastically. Fiction and reality have finally merged. Microsoft and Linux are sharing a spotlight that no one ever thought the penguin could possibly enjoy, all because the platform has become secondary to the new King — software and service. What a year for OpenStack! With two shiny new releases, two excellent summits on opposite sides of the Atlantic, countless new features, and an ever-growing community of users and developers, it truly has been a year of progress for OpenStack. Let’s take a look back at some of our coverage here on Opensource.com, and perhaps take a sneak peek at what might be in store for the new year. The best part of covering OpenStack here on Opensource.com has been getting to hear from the people who make it happen. At the beginning of the year, John Dickinson, leader of the OpenStack Swift project, took us through storage policiesand what they would mean for OpenStack’s object storage system. Anne Gentle, the documentation lead for OpenStack, shared with us here involvement in theWomen of OpenStack program and how it is bringing more female leaders to the project and to the open source community at large. And community manager Stefano Maffulli gave us some suggestions for how contributing to OpenStack could be made easier. A little later in the year we heard from OpenStack release manager Thierry Carrez about the feature freeze and what it means for the project development cycle. We spoke to storage expert John Griffith about the Cinder block storage project. Doug Hellmann told us about his work leading the OpenStack Oslo project, where common pieces of code are stored. And we learned from Victoria Martinez de la Cruz about the translation efforts taking place to make OpenStack accessible to everyone. After the first OpenStack Summit of the year in Atlanta, we heard some thoughts from Jim Haselmaier about OpenStack project management and what it means for driving the direction of a diverse project. DreamHost’s vice president of cloud Jonathan LaCour told us how his company is reinventing itself with OpenStack. Jesus Gonzalez-Barahona told us about some of the numbers behind OpenStack and how they compare to other open source cloud projects. And StackStorm CTO Dmitri Zimine brought us a three part series on tools for deploying and managing OpenStack and the workloads on top of it. We ramped up our coverage even more before the Paris Summit, bringing you a full interview series. We learned from Everett Toews of Rackspace how Apache jclouds can help to simplify application development in the cloud. We spoke with OpenStack Neutron project lead Kyle Mestery about contributing effectively to that project. Sage Weil told us what software defined storage means for OpenStack, and Metacloud’s director of community evangelism Niki Acosta told us about her work in the community. Python guru Julien Danjou told us about Ceilometer, thetelemetry project for OpenStack. OpenStack board of directors member Tim Bell told us about how OpenStack powers the research at CERN. And former NASA CTO Chris Kemp told us about the early days of OpenStack. This year, we launched a new tutorial series, featuring the best new guides published every month. We started in May by highlighting several excellent beginners’ guides, tips on managing floating IPs, security and server hardening guides, an introduction to multi-node installation, and an overview of what is new in the most recent release of OpenStack Heat. And in June, we linked to guides for getting OpenStack to play nice with firewalld and NetworkManager, using Test Kitchen with Puppet on an OpenStack deployment, Kerberos, Docker containers, and getting started with OpenStack on Solaris. In July, we featured tutorials on monitoring features, metadata services, benchmarking, the Jumpgate library, logging, and even launching a Team Fortress 2 server through OpenStack, followed by August, where we looked at git tricks to make your OpenStack patches easier for others to digest, using Heat to manage Docker containers, how to delete compute instances directly from the database, and more. When September rolled around, we gave tips for running OpenStack on FreeBSD, testing out OpenStack’s newest incubated project, building an elastic WordPress installation, and more. Then in October, we helped you with advice for building RPM packages, simplifying log files, running custom code with Nova hooks, and more. In November, we investigated CPU topology, splitting up a Swift cluster, container orchestration, using affinity controls, sharing public images in Glance, and more. And finally in December, we highlighted tutorials for creating disk images for Glance in Ceph, deleting orphaned storage volumes, comparing patchsets in Gerrit, and more. We also covered a number of open source projects this year which might be interesting to an OpenStack user. We interviewed Frank Huerta, CEO of a company called TransLattice who is leading an open source project calledPostgres-XL designed to modernize the PostgreSQL database for clustered environments with big data. We spoke with Neela Jacques, executive director of the OpenDaylight project to learn how they are working to build an open platform for software defined networking. And we learned from Chris Hoge how to deploy OpenStack using Puppet, an open source system for automating IT operations. In the container world, we had great success in getting started with Docker from Vincent Batts’ guide for beginners, and learned even more from Dan Walsh who taught us about Docker security in his two part series. Then, we learned aboutFlocker, Clocker, and more! Noting the importance of big data in the cloud, we got an excellent introduction to Apache Hadoop for big data from Sachin Bappalige. Sachin also helped us to explore Apache Mesos and how it can be used as a cluster management tool in data centers. In all, it was an exciting year for the open source cloud, and I can’t wait to see what 2015 will bring! IT is changing organizations across the globe, impacting enterprises, governments and the wider public sector. Open source in particular is a driver in innovation, giving organizations a competitive edge and an ability to scale and adapt to changing market demands. According to the 2014 Linux Jobs Report, demand for Linux expertise continues to grow, with hiring managers across a number of industries citing Linux talents as one of the top recruitment priorities this year. Unsurprisingly, with more government IT transformation projects under way in Asia Pacific, the need to reinvest in government employees’ skills is also on the rise. This may be due to legacy systems, often built on proprietary platforms and supported by IT teams with skill sets limited by the technologies they had to maintain. In an interview on this with Harish Pillay,he shared an example with the Lotus Notes system, which was adopted by governments throughout southeast Asia over the past 20 years. When the time came for these governments to move to a new and more capable platform, they had to conduct extensive staff retraining for a new tool. Of course, this led to climbing expenditures given the need for new training. With proprietary systems like Lotus Notes, there is a need to keep learning fixed and limited skills to support proprietary, vendor-specific set ups. Open source knowledge (Linux training) is, generally, highly transferable and can be applied to almost any Linux platform. This type of interoperability between systems and skills will become a key consideration, for governments and enterprises alike, to ensure that adopting new technologies is as simple and cost-efficient as possible. Hiring managers in both governments and enterprises are bolstering Linux talent plans, according to the 2014 Linux Jobs Report. This report is assembled from a survey taken across 1,100 hiring managers and 4,000 professionals within the Linux space. In fact, the demand for Linux expertise is so high that salaries are being driven above industry norms, in turn causing these Linux professionals to identify Linux knowledge as a career-advancing tool. 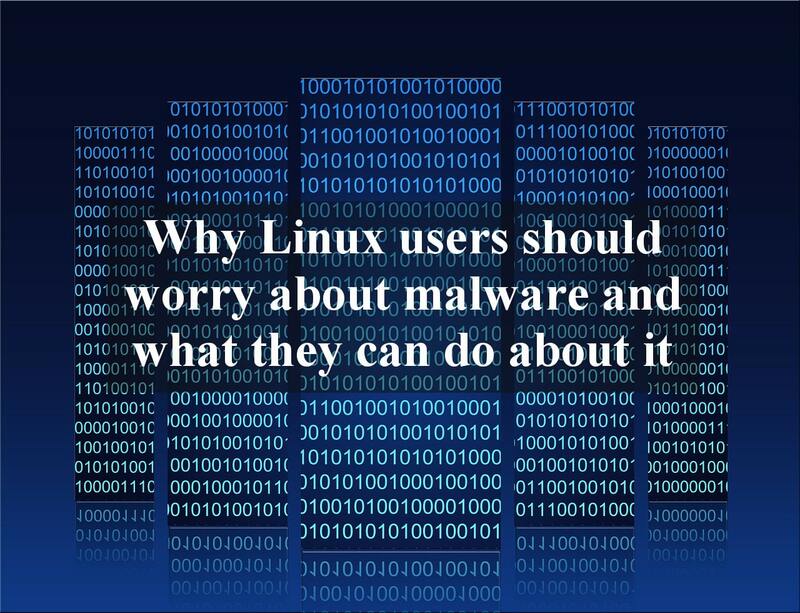 President of technology for professional website Dice, Shravan Goli, explained that enterprises are increasingly describing Linux as core to the business. The Singaporean government appears to understand the need for local initiatives and frameworks, as the new fair consideration framework has led to increased competition for local IT talent. “In turn, hiring managers are turning up the dial on the incentives offered to technology talent with Linux skills. These professionals are working on projects tightly aligned with a future vision of what enterprises look like,” he said. This is according to recruiting expert Hays, which also announced a list of the IT skills presently in demand. 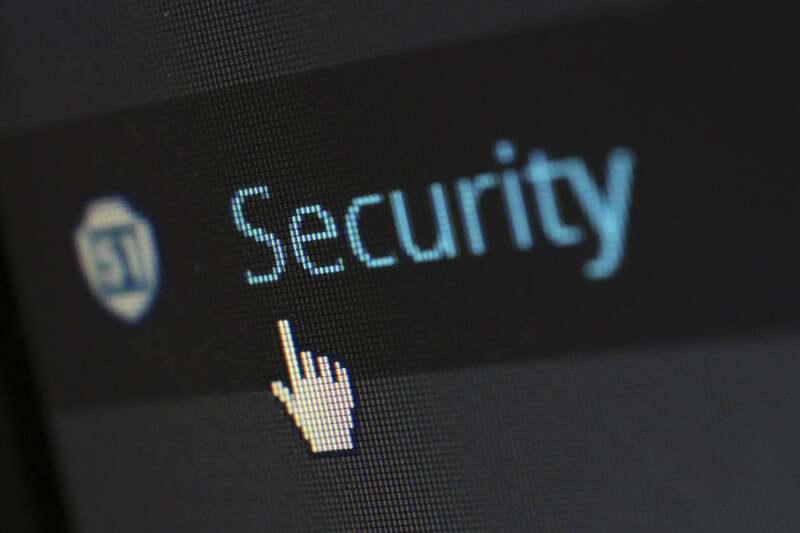 “Due to a limited talent pool in the storage, security, cloud or hosted domains, the market is also facing a shortage of technically skilled pre-sales people,” said Regional Director of Hays in Singapore and Malaysia, Chris Mead. He explained that service management, cloud architecture and process and quality specialist roles were also in high demand. Red Hat® performance-based classroom training provides the hands-on, real-world skills that IT professionals and developers require. As governments and enterprises increasingly undertake transformation projects with new open source technologies, the demand for Linux expertise will no doubt mirror these trends. It is important that IT professionals find the appropriate training that will prove to be a long term asset to them and their organizations. On the other side of this transformation governments should consider local initiatives to support Linux training programs, thus growing the skill base for Linux and other open source standards.